I would like to say I own this bottle, but then again, the recent price it went for (over $250) was a little bit out of my price range. It is on my wish list. That said, this is a Jim Beam tribute bottle in memory of Terry Farrell, which benefited the Terry Farrell Firefighters Fund. The Fund was established in memory of Terry Farrell, a decorated member of Rescue 4/FDNY and Chief of the Dix Hills Volunteer Fire Department. Terry, along with 342 of his brothers, perished on September 11, 2001 in the World Trade Center attack. The Fund assists firefighters and their families with educational, medical and equipment needs. They support the firefighters who serve all communities. The Terry Farrell Fund is operated predominately by Firefighters along with friends of the Fund. They operate on a volunteer basis in order to give back to the firefighting community. In a complimentary feature story appearing in the January 10, 2007 issue of The New York Daily News, Southern Wine & Spirits of New York executive Larry Romer is credited with helping the Farrell family of Wantagh, New York, raise money in honor of the 343 firefighters who perished on 9/11/2001 at the World Trade Center. 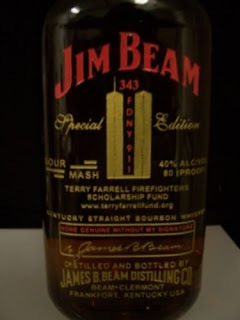 In partnership with Fortune Brands, Inc., Lincolnshire, Illinois, owner and marketer of Jim Beam Bourbon, a limited edition new label on the best-selling Bourbon bears the number “343” and reads “Terry Farrell Firefighters Scholarship Fund”, appearing next to a picture of a firefighter’s helmet. In New York, Mr. Romer serves as Vice President, General Manager-Spirits, Southern Wine & Spirits of New York, which is a division of Southern Wine & Spirits of America, Inc., the nation’s leading wine and spirits distributor with a tradition of service excellence since 1968. According to Mr. Romer, one day about five years ago, he stopped by a bar in his hometown in Wantagh, Long Island, whereupon he learned from the proprietors, Tim and Brian Farrell and their other brothers, that they had set up a fund to honor the memory of their brother, Terry, who died in the 9/11 terror attack at the age of 45. Ever since that meeting, Mr. Romer has worked with senior executives at Fortune Brands to do something to support and pay tribute to this fallen hero’s memory and contribute further to the scholarship fund his two brothers set up in 2001. Following a series of talks, Fortune Brands agreed to support Mr. Romer’s request that Jim Beam lend its label, via the message and illustration noted above, in support of the Terry Farrell Firefighters Scholarship Fund. 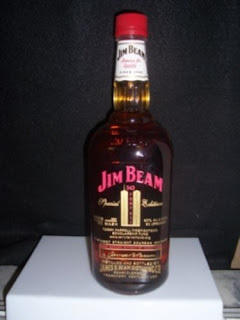 The response has been tremendous, the article reports, noting that Dennis Farrell, one of Terry’s four surviving brothers, said that since the limited edition label’s appearance, donations have poured in, reaching a total of $200,000, $80,000 of which is directly attributable to the Jim Beam Limited Edition Label. Harvery R. Chaplin, Chairman & Chief Executive Officer of Southern Wine & Spirits of America, Inc., said, “On behalf of Wayne E. Chaplin, President and COO, and myself, everyone at Southern is very proud of Larry’s efforts and the participation of Fortune Brands and Jim Beam Bourbon on behalf of the Terry Farrell Firefighters Scholarship Fund. Larry’s work is symbolic of our Company’s longstanding commitment to community service and a tradition of giving back to worthy national, state and local charitable, medical, educational and philanthropic institutions.” As part of the fundraising effort for the Terry Farrell Firefighters Scholarship Fund, Mr. Chaplin said that Fortune Brands is auctioning off two of the remaining cases of Jim Beam Bourbon bearing the special “343” label to its employees, with proceeds going to the fund. Mr. Chaplin added that Southern Wine & Spirits of America will match those funds raised by the Beam “343” auction and add this donation to the Terry Farrell Firefighters Scholarship Fund. I have this one . And there is another one with a firemens helmet on it. are these bottles available to purchase?